Is this becoming a trend? Another big North American carrier said it will offer free in-flight Wi-Fi service as a perk for its most frequent customers. Air Canada and Gogo announced that free Internet is being added as one of the privileges that can be selected by the airline’s Altitude Elite 75K and Super Elite 100K elite members – the top two levels of the airline’s five-tier elite structure. The Elite 75Ks can get six-month unlimited use passes for Wi-Fi, and the Super Elite 100Ks can select a 12-month free pass. The passes are good on mainline Air Canada flights in North America as well as Air Canada Express and Air Canada Rouge. And soon, the benefit is coming to international flights as well. 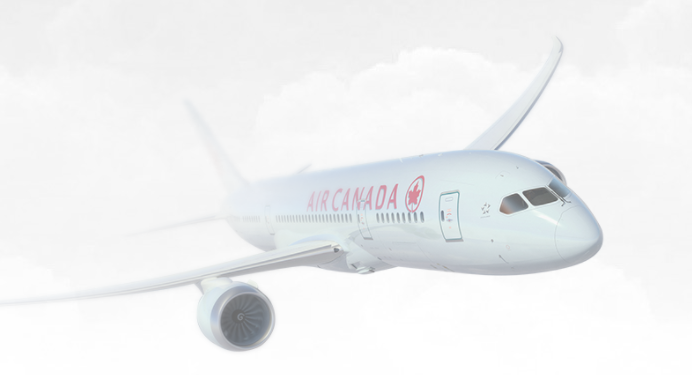 “Air Canada’s new Altitude WiFi select privilege is available for use on all Air Canada equipped flights, all over the world, regardless of systems provider. This also includes Air Canada Rouge and Air Canada Express operated flights,” Mark Nasr, Vice President Loyalty & eCommerce for Air Canada told TravelSkills. For now, Air Canada charges US$16 for a Gogo one-way pass if purchased online before flying. A monthly pass is US$52. Qualifying members will be able to pick the free Wi-Fi as a Select Privilege benefit for 2018. Other selectable privileges include things like mileage bonuses, upgrade credits, airport club membership discounts and guest passes, elite status for a friend, and so on. Air Canada is not the first North American airline to offer free Wi-Fi. Southwest Airlines offers it as a perk for top-level A-List Preferred members of its Rapid Rewards program. JetBlue has long been offering free Wi-Fi (which it calls Fly-Fi) to all passengers. But Air Canada may be the first to offer free Gogo Wi-Fi. JetBlue developed its proprietary satellite-based Wi-Fi technology with Viasat, and Southwest’s Internet provider is Global Eagle Entertainment – although it is using Panasonic Avionics to install Wi-Fi on newly delivered aircraft, including its new 737MAX planes. Here’s hoping that other North American carriers consider a similar move. Will they? Leave your comments below.